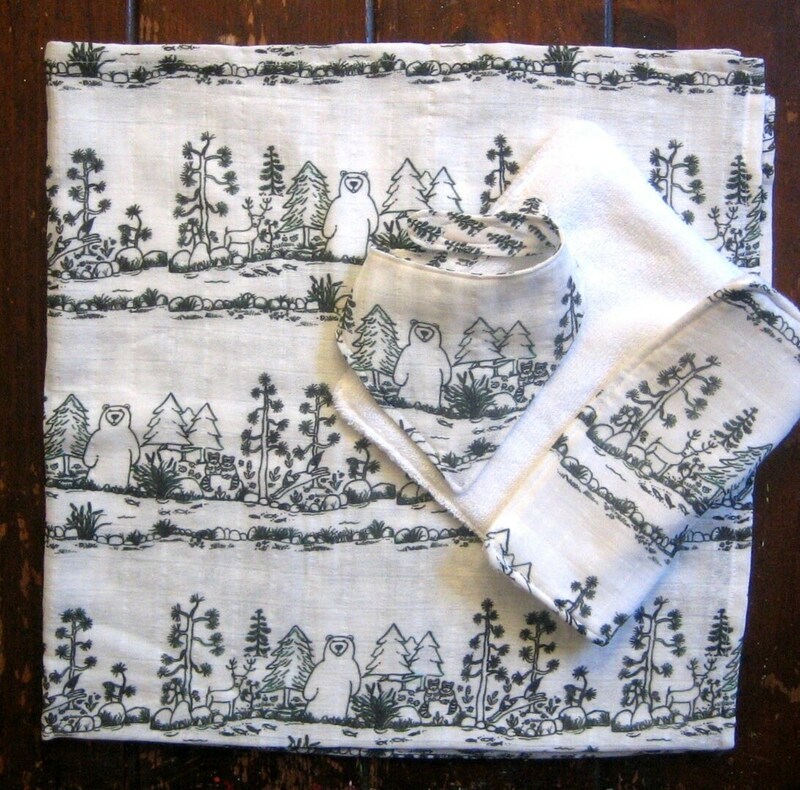 Bear in the Woods with friends, trees, and river, original print from Little Island Company, 4 piece baby gift set. Fabric is organic cotton gauze, lightweight and perfect for swaddle blanket, bibs and burp cloth. Grows softer with washing. 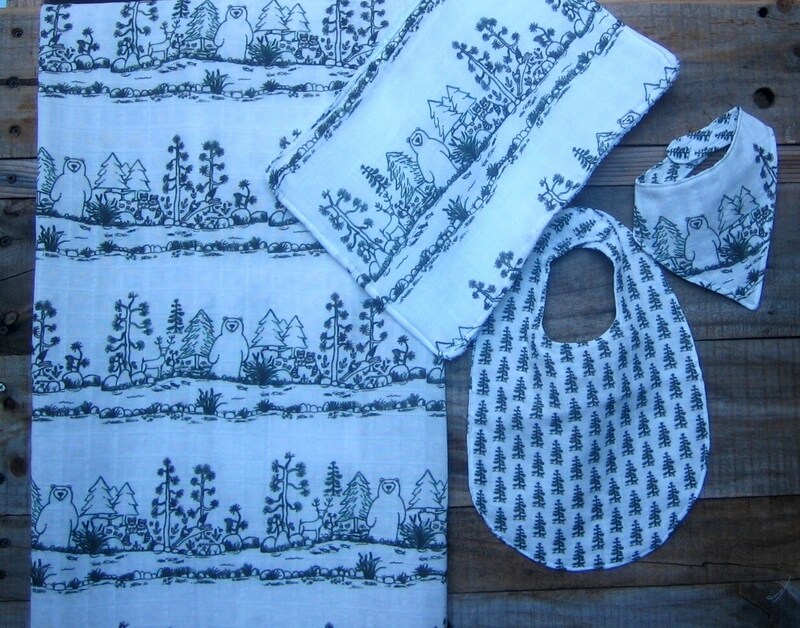 Burp pad is backed with organic terry cloth and little scarf bib and regular baby bib are reversible with bear print on one side and little pine trees on the other. Perfect for newborn.